As a society we are in a car heading for a cliff. When we go off the edge it will be too late to do anything about it. Saying we are sorry won’t help and we will take much of what is beautiful about the world with us. Meanwhile we are sitting in the back seat of the car, playing with and fighting over our toys. From a sense that something is terribly amiss, and that we must do something, we accelerate. I have often heard the saying that the type of thinking that got us into this mess is not the kind of thinking that will get us out of it. I would like to expand that to say that the worldview that got us into this mess is not the worldview that will get us out of it. Not by itself. We don’t need to abandon the Western worldview, it can provide the tools for steering the car away from the edge. It won’t, however, get us to actually care enough to do that. It provides great tools. It makes a god-awful navigator. The mythologist Joseph Campbell used to wonder (he is now dead) from whence the next myth of our society will arise, for we need one. The wisdom for directing our actions comes from that aspect of our being that is non-intellectual in nature, nor is it emotional, it is something else. It lives in some wider aspect of ourselves which also happens to be the realm of myth. The myth we need will not arise from our current situation; from our political strivings or our economic forces or our virtual realities and artificial intelligence. It will not arise from fascism or anti-fascism. conservatives or liberals, priests or atheists. It will not arise from any of the beliefs or causes that have their interwoven existence tied to Western culture. We can’t get there from here. The author Martin Shaw suggests that the myths we need might be 5,000 years old. They will not provide a simple and easy way out. They will shake us to our bones, they will be challenging, they will require a life-time commitment to walking a path, they will not be learned in a week-long workshop. It will be tough, and long, but everyone outside of our current worldview (which values speed and ease above all) have always known that. Ah…but the rewards. Consider our understanding of what is means to be a human being, the understanding available to us through the Western worldview. It is natural and easy to assume that is all we are. But our Western view of our existence is like viewing reality through a narrow, narrow slit. There is so much more of us, so much more of our existence than the West presents. We, the children of the West, have forgotten what we used to know about the vast and ultimately mysterious expanse of our own existence. The remembering of that is where we need to go, our total being is called for if we wish to change our current trajectory and to select one of greater beauty and harmony with nature. We can’t rely on a representative sent down the path to report back the answers. That is the Western way. The answers, the wisdom, will not come from someone else, from a guru or a sage or a crone, they will arise from within ourselves. If we go deep enough inside of ourselves, we find the Cosmos, and we change, and we begin to join in harmony with a siren’s song whose beauty lures our society away from the rocks. 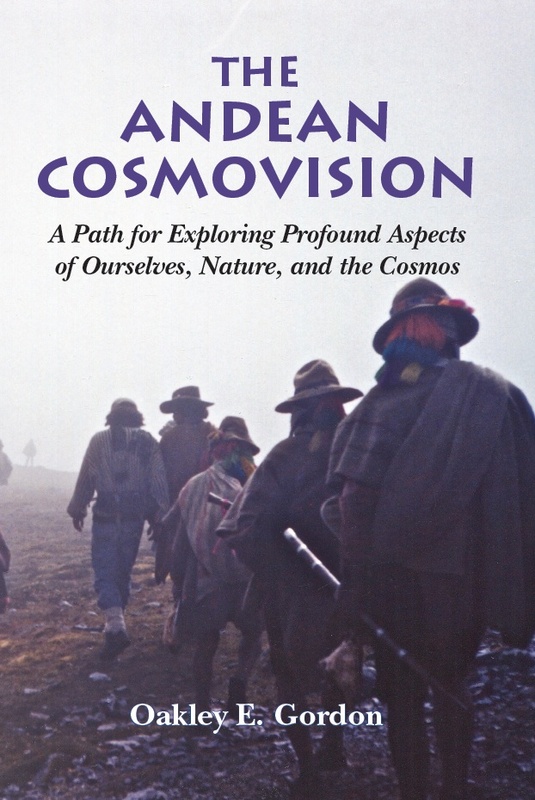 There are many paths leading there, not just the paths that have their doorsteps in the Andes. 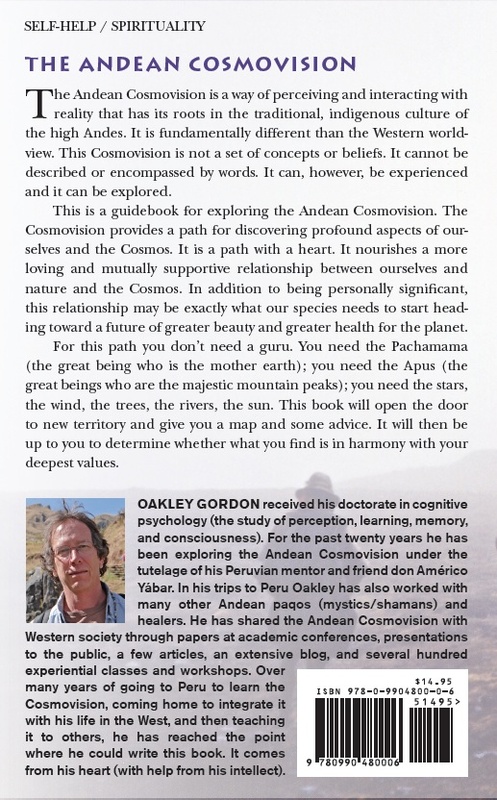 My book “The Andean Cosmovision” is finally finished, I can hardly believe it. Americo has been encouraging me to write this book for years. It was such a big project I couldn’t get going on it until a friend of mine suggested that I write it in individual pieces as posts on a blog, which led to this Salka Wind Blog. I thought the process of turning those posts into a book would be relatively trivial but it has taken more than a year. I rewrote the material, added some new information, and put it in an order that allows the later concepts and meditations to build upon the earlier ones. I love it. The book will be available both as a paperback and as an ebook. The exact date of the release has yet to be determined but it should be sometime during the last half of July. I will announce here when you can obtain a copy. If you have something you need to confess, to get off your chest, go to nature and confess it out loud to a tree, or to a stream, or to a bird, or a cliff, or to Tai Tai Inti, or to Pachamama. By itself I don’t know if this would make a big difference, but as part of your changing relationship with Nature and the Cosmos it is a small but beautiful step. After many of these small steps you will begin to notice a change in yourself that arises from a change in the quality of your relationship with Nature. By the way…when don Americo was suggesting this to us he also mentioned in passing that we are allowed to make the exact same mistake in our lives three times before we have to start feeling like an idiot. I hope you read this blog during the ‘cut yourself some slack’ week. © Oakley Gordon at date of posting. Contents licensed under a Creative Commons License — some rights reserved.